Three years ago, I wrote about how to navigate the Virginia budget. Although the screens have changed, the process is still about the same. Unfortunately, as I was watching the live stream Saturday of the last day of session, the conference report was neither available online nor had been incorporated into the budget. We now have both – the conference report (pdf) and the amendments. As they were discussing the amendments, most of the effort focused on item 307#20c, which discusses the nature of Medicaid reforms. What I missed was the reference to the establishment of the Medicaid Innovation and Reform Commission. I found this in searching the pdf (although I could have searched the title using the keyword search) – it is 4-14.00#4c. Pursuant to that section, the five members appointed by House Appropriations Chair Lacey Putney were announced yesterday. The list – and the requirement that three of its members agree with three of the members appointed by Senate Finance chairman Walter Stosch in order for the expansion to take place – give me serious pause. Which of the five House members support expansion? Well, it seems that would be a minority of them, if any. O’Bannon and Massie are quoted in the press release. I heard Joannou on the floor, expressing his opposition. Three opposed is enough to make this a no-go. And that’s what Del. Habeeb was referring to in his post here. The federal government has given tentative support to Medicaid reform, which was not enough to get a bill on Medicaid expansion through the legislature. Thus, as is often the case, we have legislation by budget. 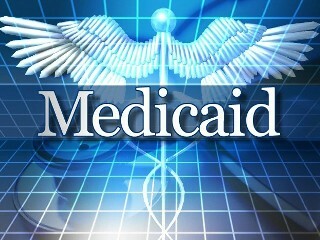 Medicaid expansion is being considered in a number of states, with Florida the most recent. I understand the reluctance of our legislators to believe that the federal government will not hold up its end on coverage; after all, they have done the same to the localities over the years. But to argue against expansion when all it takes is turning off the coverage if the federal payments stop – especially if we are already gaming the Medicaid system as outlined in this article – is just ludicrous on its face. Gov. McDonnell rails against Medicaid expansion because of what it would do to the federal deficit. It would be nice if McDonnell kept his eyes on Virginia for now and stop trying to raise his national profile at the expense of low income Virginians. So Medicaid expansion – at least how I had envisioned it – really isn’t done yet. That just means we have to keep our eyes on the Medicaid Innovation and Reform Commission and hold them accountable to getting it done.